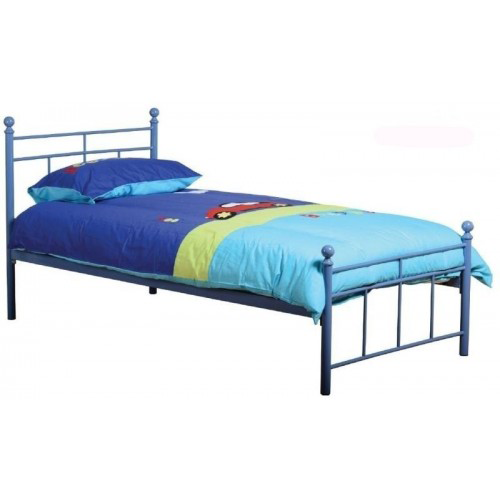 This single metal bed with a solid construction and a robust frame is an eye catchy boy's bed that is finished in bright Blue and benefits from a sprung slatted timber base, ensuring maximum comfort and support for the little one's. Featuring a low foot end in comparison to the high headboard, giving it a modern and more spacious image. Metal frame, Blue finish, 3.8cm tubing, Low foot end, 3ft single bed.